Our PTFE tortilla belts are individually designed to meet our customer’s specific application. PTFE belts utilized in tortilla equipment is a demanding application because of the high levels of grease/oil and the primary concerns of PTFE Fiberglass tortilla belts are wicking and heat transfer. 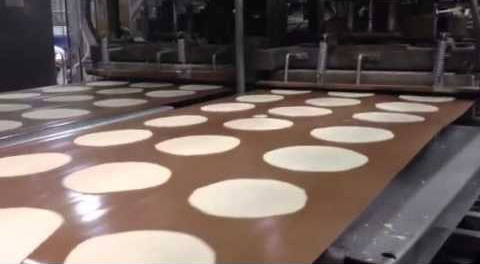 Fabri-Tek will access the demands of the customer’s tortilla belt application and with a combination of varying the coating weight, glass fabric structure, laminations, belt thickness and the addition of additives we can recommend the most robust tortilla belt for your individual application.